As much as I enjoy receiving and reading Advance Reader copies, this just wasn't for me. But it is something I'd give to my younger self. 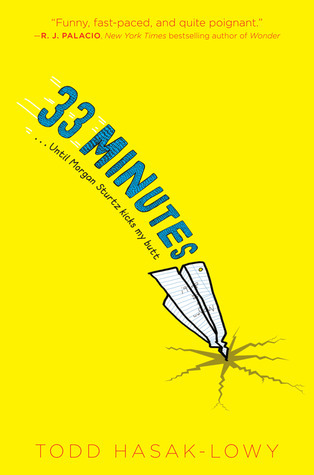 33 Minutes....is a story about two ex-best friends who've outgrown their friendships. 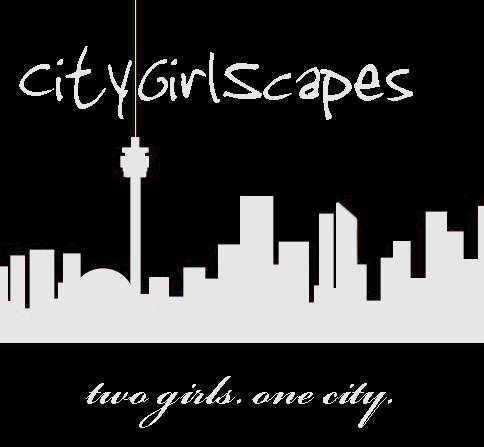 Both unable to cope with their changing dynamic and with the addition of an out of control new kid, their friendship breaks apart. This book by Todd Hasak-Lowy will be well received by kids and teachers. It's entertaining, well paced and it's themes are current, to the point and relatable. I am in no way a fan or an expert on Tarantino films. I tolerated Kill Bill, I’ll idly watch Pulp Fiction when it’s on cable (my copy is still shrink wrapped and I’ve owned it close to 8 years) and don’t even talk to me about Jackie Brown. But the trailers for Django Unchained piqued my curiosity so when I had the chance to catch the prescreen last night, I did. And I’m so glad I did. It’s very rare that Hollywood can get a western done proper and it seems as though they need years in between to churn out another one. Django Unchained is its own beast but you can’t help but compare it to There Will Be Blood or No Country For Old Men but it was also funny, much like Maverick. Surprisingly enough, for a film with a runtime of 165 minutes, it didn’t feel that long at all. Each character was well casted and each showed why they are deserving of their roles. 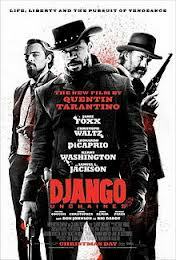 Jamie Foxx’s Django Freeman was believable, Leonardo Di Caprio’s Calvin Candie was the perfect villain. Christoph Waltz has such an understated comedic timing that makes his Dr. King Schultz so lovable. Coupled with Samuel L. Jackson’s Stephen, we were presented with a film that was funny, brilliant and showed a stand-off that only Tarantino can pull off. 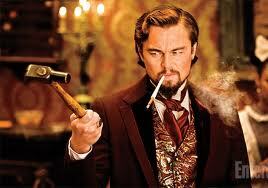 If you're looking for a film to see this holiday that will ensure laughs from all, make it Django Unchained. Timing is everything, or so we learned this week when Veronica happened to be on her way to the bathroom just in time to notice the glowing florescent office lights shining down on a glorious pass to the pre-screen of Les Misérables for last night at the Yonge Dundas theatre. We have been waiting months for this movie, so the opportunity to see it a week before it is actually released is nothing short of a Christmas Miracle. Not only is this an adaptation of a legendary musical based on a novel that is considered one of the greatest novels of the nineteenth century, but Jean Valjean may just be one of the coolest names in the history of literature. 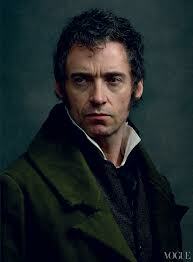 Just say it... Jean Valjean... and tell me you aren’t instantly in love with him. 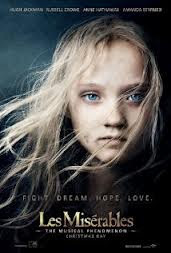 Les Misérables is set in a post-revolutionary France and tells the story of prisoner 24601, known as Jean Valjean (Hugh Jackman), who is released from prison and breaks his parole to create a new life for himself. Ruthlessly persued by Inspector Javert (Russell Crowe), Valjean is determined to escape his dark past and along the way, his story intertwines with the likes of factory worker turned prostitute Fantine (Anne Hathaway), her illegitimate daughter Cosette (Amanda Seyfried) and the unscrupulous Thénardiers (Helena Bonham Carter and Sacha Baron Cohen), their daughter Éponine (Samantha Barks) and her friend Marius Pontmercy (Eddie Redmayne). The cast speaks for itself. 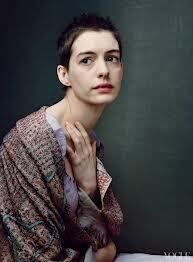 Big names, big voices, all making a big impact on screen and big commitments to their roles (Hathaway cut off her hair and lost a scary amount of weight for Fantine, Jackman also lost weight and grew a beard for Valjean’s prison scenes). Though there are a number of film adaptations, this one seems to surpass them all visually. The cinematography is breathtaking, capturing that perfect vintage look and mixing it with closely cropped shots of the actors give everything a larger than life feel which is probably the closest you will get to replicating that indescribable feeling of a live theatrical production. There are many powerful, emotional scenes (the barricade, anytime anyone died – spoiler alert, people die) that the cast should be praised for; scenes that literally moved the majority in the theatre to tears more than once. The best part, of course, is that it’s a musical. The cast has received high praise for the famous musical numbers like I Dreamed a Dream, Do You Hear the People Sing, Master of the House, and On My Own. I mean, who would have thought that Russell Crowe could sing like that? But even more impressive is the way in which the numbers were performed for the filming. 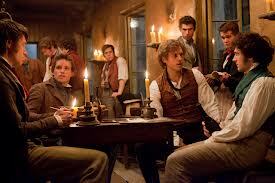 Typically, the soundtrack for a movie musical is recorded in advance and the actors mime the playback during filming. 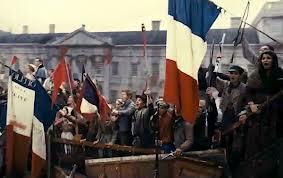 For Les Misérables, however, director Tom Hooper had every song recorded live on set to capture the spontaneity of the performances. There is no count in or predetermined tempo, the piano follows the pace of the actor so they have more freedom to act and perform, and the orchestral music is added in post-production. No director has every attempted such a thing on this large scale before and it really is an amazing feat that just adds to the magic of this movie. Our only issue with this production was casting Amanda Seyfried as Cossette. We’ve liked her in many musicals, but are just not convinced that she could handle the high register required; her voice seemed weak and wobbly during a lot of her numbers, something that was pretty irritating. 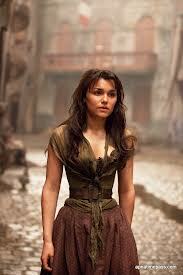 Samantha Barks was one of the weaker voices as well, but she still held her own during her big number and if her only real competition for the role was Taylor Swift, I think she did a far better job than doe-eyed Swift would have done, even if the song about heart break and being done wrong by a guy is kind of her shtick. A movie can never be on par with a theatrical production, it will always lack that intimate, emotive feeling you get seeing everything play out in front of you and feeling those powerful voices cut through you live in that moment. But Hooper’s direction, the remarkable performances from Jackman and Hathaway and the lighthearted comedic endeavours of Bonham Carter and Baren Cohen come pretty darn close. If you see one movie this holiday season, this should be it. Just remember to bring some tissues. 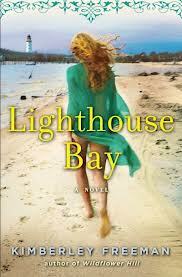 I won Lighthouse Bay by Kimberley Freeman on Goodreads as a first reads book curtesy of Simon and Schuster Canada. I read Wildflower Hill and knew what I was getting into when I got Lighthouse Bay. Ms. Freeman certainly has gotten me hooked on her books and left me wanting more. Lighthouse Bay was a perfect blend of mystery, tragedy and drama, all set in beautiful Queensland, Australia. 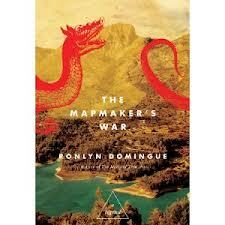 There are very few authors that I force myself to wait for the telling of the story and when it's told this entertainingly, you just end up devouring it in days. It's not often that anyone can have such a perfect assimilation of timelines without it feeling stunted or forced. Ms. Freeman has a best seller in her hands and I can't wait for the next one! 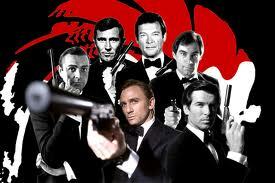 "Bond, James Bond". "Shaken, not stirred". Over the years, the iconic Bond movie franchise has brought us a number of memorable quotes, characters, gadgets and style. 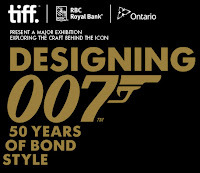 Sean Connery, Roger Moore, Timothy Dalton, Pierce Brosnan and most recently Daniel Craig have all donned that finely pressed black tuxedo and oozed class and plain old badassness on screen and until January 20, the TIFF Bell Lightbox is premiering Designing 007: Fifty Years of Bond Style. 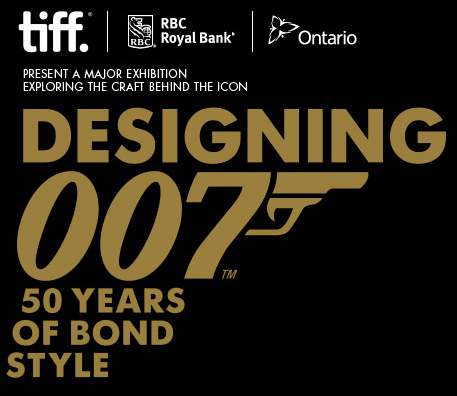 The largest and most comprehensive exhibit devoted to bond, Designing 007: Fifty Years of Bond Style features costumes, props, models, gadgets, concept artwork, storyboards, clips and various fascinating artifacts from the series. It takes about 30 minutes to walk through the exhibit, but there are plenty of interesting facts and visuals that any diehard Bond fan wouldn’t want to miss. 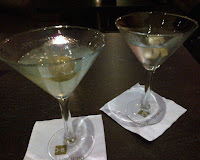 And what would a night of Bond be without a martini? Luma, the restaurant on the second floor of the Tiff Bell Lightbox, offers a Bond-themed Prix Fix and has four different Bond inspired martinis for $7 (on Thursdays or with the purchase of a ticket to the exhibit on other days). The exhibit and Luma menu is only available until January 20, buy your tickets soon.